Support count the number of audio tracks and select playback specific audio track in DIVX AVI, WMV, WebM, MP4, MOV, M4V, MPEG2, MPEG1, VOB, M2TS, MKV, DIVX video files. Support step frame backward and forward in DIVX AVI, WMV, WebM, MP4, MOV, M4V, MPEG2, MPEG1, VOB, M2TS, MKV, DIVX video files. Include C# 2015, C# 2010 sample, VB.NET 2015, VB.Net 2010 sample, VB.Net 2003 sample, Visual Basic sample, Visual C sample, Visual Foxpro sample, Delphi sample and Web Page sample. 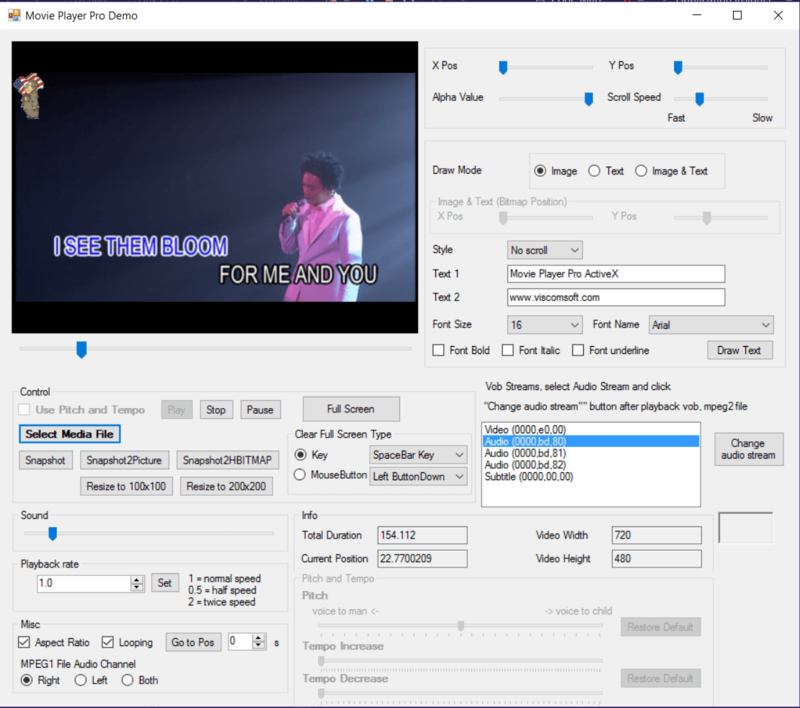 added WMV, WebM decoder support count the number of audio tracks and select playback specific audio track in WMV video. 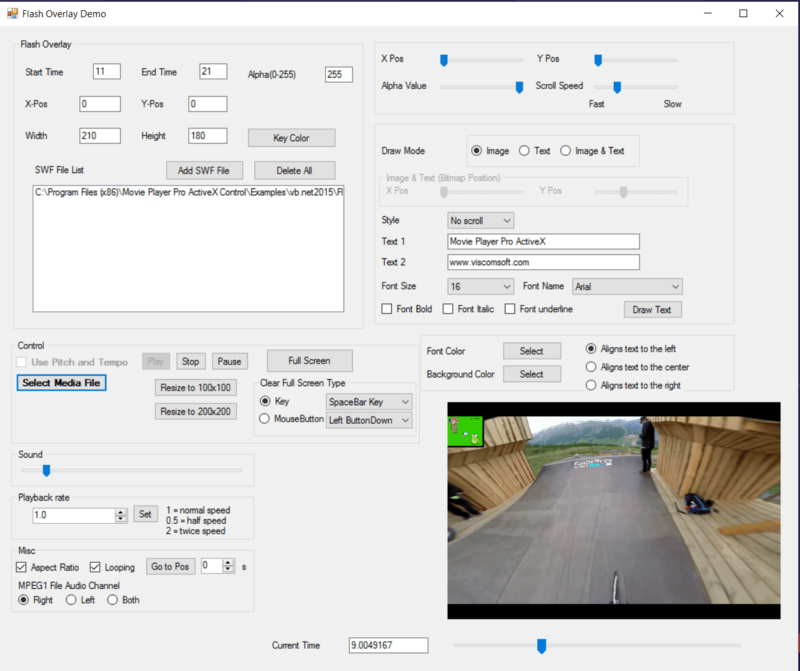 fixed get duration is zero for some flv video. fixed get frame rate is zero for some avi or mp4 video. updated DIVX AVI, MPEG2, VOB, MPEG1, M2TS, MKV decoder, now support count the number of audio tracks, get the audio track name and select playback specific audio track . added support step frame backward and forward (frame by frame) in DIVX AVI, MP4, MOV, M4V, MPEG2, MPEG1, VOB, M2TS, MKV, DIVX video files. fixed error message when open VB6 General, GeneralEVR, GeneralVMR9 sample. added allow select audio track, step backward and forward with C# 2015, C# 2010, VB6, VB.NET 2010, VB.NET 2015, VC , Delphi General, GeneralEVR, GeneralVMR9 sample. added version resource in ReadMP4ChaptersDLL.dll , otherwise some anti-virus software will report this file have virus. added C#2010, C#2015 streaming MPEG1, MPEG2, MP4, MOV, M2TS video samples. updated C#2010, C#2015, VB.NET 2010, VB.NET 2015, VB6, General , General VMR9, General EVR Player samples. 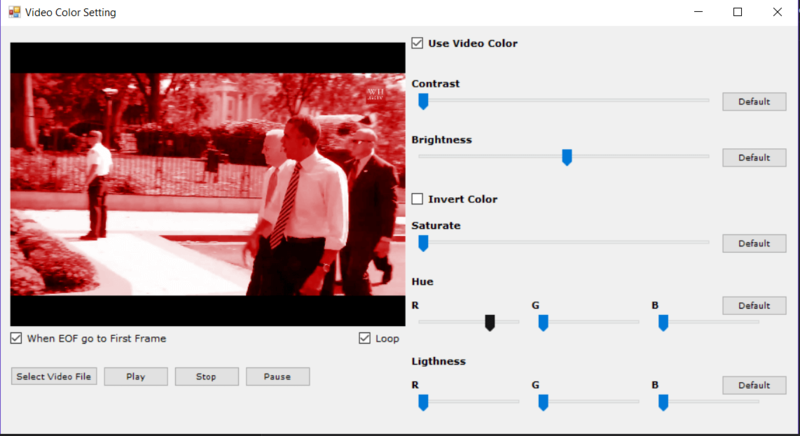 added support Enhanced Video Renderer. 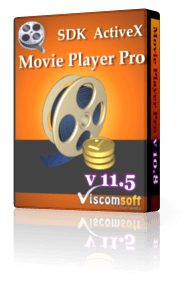 It has better performance and better quality.Support OS for Windows Vista, Windows 7 & Windows 8, Windows 10.
fixed MP4 MOV Streaming plugin display invalid format issue. added C# 2010, VB.NET 2010, VB6, VC, VFP GeneralEVR samples. added VB6, VB.NET 2010, VB.NET 2015 ReadChapter sample. fixed flash overlay filter auto loaded when load the video. updated VB6, VC , C#2010, VB.NET 2010, Delphi samples. fixed locked MP4, M4V, MOV, 3GP, AMR issue after playback these files. 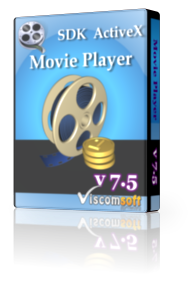 added support playback MKV, DIVX if purchased our plugin. added key down, key up event when full screen mode. fixed if set UseVMR9 property = false, display full screen , then close full screen mode, it will show the black screen in Window 7 64 bit. updated c#2010, vb.net 2010 samples. Fixed playback some F4V video, it seem have slow motion issue. Added allow add F4V decoder plug-in, allow playback F4V (for flash player 9.5[plus] ) file. Added allow add AVCHD decoder plug-in, allow playback AVCHD (m2ts, ts) file. Fast AVCHD decoder, support Real-time, high resolution AVCHD 1920x1080 video playback. Added allow show Full screen mode, now it can using keyboard key or mouse button to close the full screen. Added ClearFullScreenKey, ClearFullScreenMouseButton, ClearFullScreenType properties. Added allow add flv decoder plug-in, allow playback flv file. Added LoadFromByteArray, LoadFromMemory methods. allow load the video from memory. 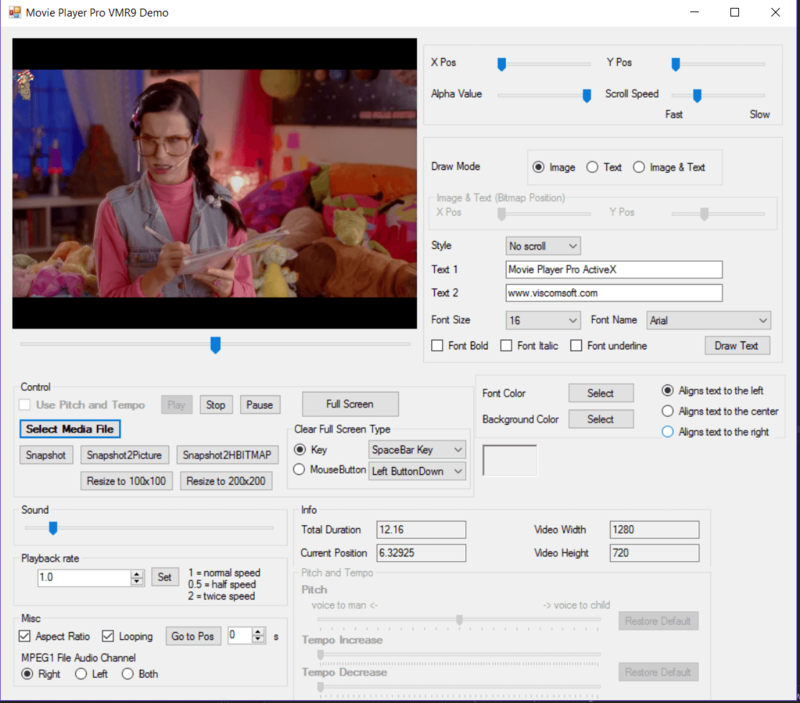 Added SetVideoWin2AspectRatio, SetVideoWin2Owner, SetVideoWin2PopUp, SetVideoWin2Show , SetVideoWin2Style, SetVideoWin2Caption, SetVideoWin2Pos methods. Allow display secondary video window. You may playback two video window in same time. Display pic in pic effect, adjust floating popup window\'s position. Changed the default audio render to Default DirectSound Device. Because another audio render may affect the audio sync issue. Support allow add mpeg2 decoder plug-in for playback vob, mpeg2 file. Added allow select different audio renderer/audio device when playback. Added DrawImageFromByteArray and ShowBitmapByteArrayOnDrawText methods. Added StartTime and EndTime properties, it allow playback for specific time range. fixed some wmv, asf cannot playback. improved mp4, m4v, mov, 3gp decoder fully supported on vista. 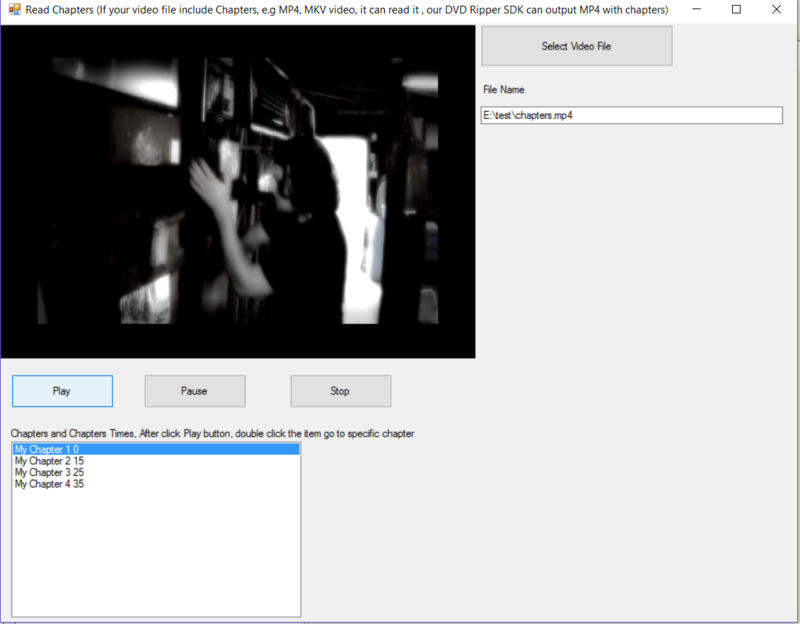 added mp4, mov, 3gp, m4v files support change audio tempo. added support amr audio format. added support 3gp with amr audio, mp4, mov, m4v with aac audio. 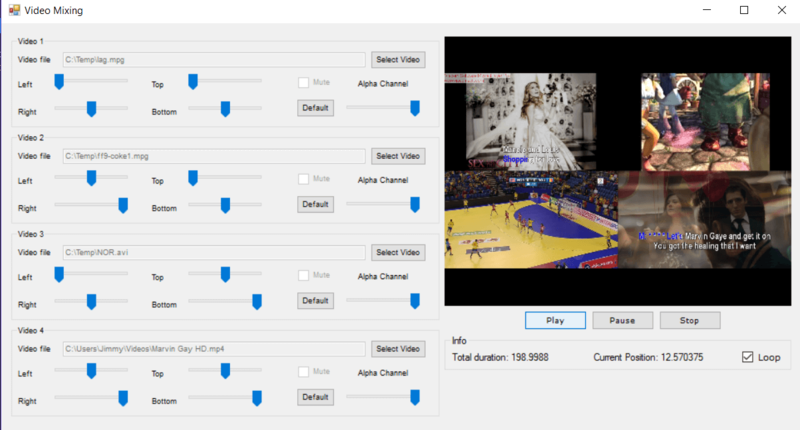 added allow video mixing feature, include user define alpha channel, the layer of video.